The German-born filmmaker on staying versatile in Hollywood, turning down Game of Thrones, and his latest feature The Captain. Maybe this is an uncool question to sling at a filmmaker who’s been continuously working at his craft, at the top level in Hollywood, over the past decade with many other lessons to share. But we figured we might learn something from his decision making, and who will ask him if we don’t? It’s little known outside the handful of people who watched an obscure online video interview we stumbled upon in our research that Robert Schwentke turned down the chance to direct the Game of Thrones pilot so many years ago. Naturally, we wanted to know why. The German-born filmmaker—good on him—chuckled, “There were flying dragons—that sort of thing. I didn’t really understand what it was.” This is the same versatile man who’s accumulated one of the most diverse slate of films in the industry with Flightplan (2005), The Time Traveler’s Wife (2009), RED (2010), R.I.P.D. (2013), Insurgent (2015) and Allegiant (2016), and then arguably his crowning achievement and the most radical departure for him to date, The Captain (2018). So how did he manage this? “Saying no to things. You have to say no,” the veteran offers. The art of the decline. If it wasn’t already apparent in his genre-swapping tendencies, Schwentke is on the hunt for new challenges—the connecting thread in his body of work. So comes The Captain, a confronting film that’s decidedly arthouse and something he admittedly couldn’t have pulled off earlier in his career. 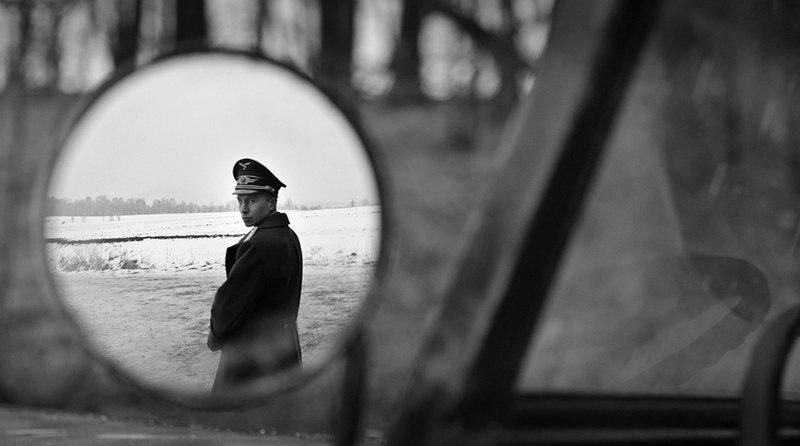 The Captain is a period piece, but one with a chilling contemporary relevance. Set in the final days of World War II, the Third Reich is unraveling. Shot in tonally rich black-and-white, the dramatic opening sees a presumed deserter from the German army desperately trying to abscond from being gunned down at the hands of a vindictive patrol in April 1945. That this is a true story adds another layer of insanity. But it was an insane time. Exhausted soldiers were deserting the collapsing front in huge numbers. 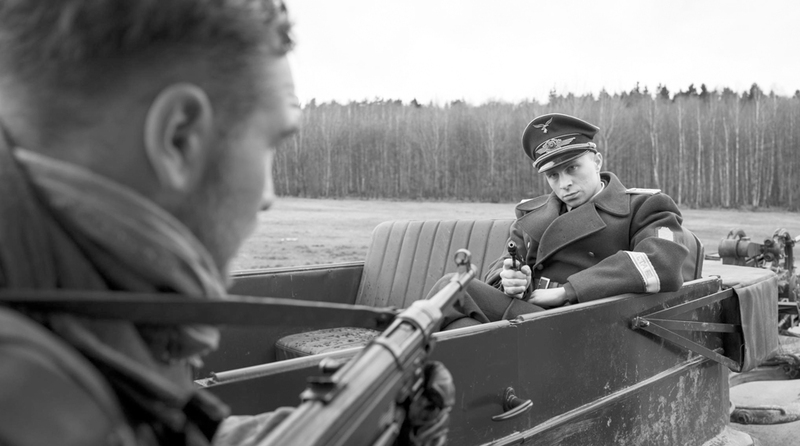 One such deserter, a young private named Willi Herold (played with remarkable conviction by Max Hubacher), has scarcely escaped death when he comes upon an abandoned vehicle and a Nazi officer’s uniform. He puts it on, assumes the role, and his bearing immediately changes. His cowed, kicked-dog demeanor vanishes. In its place is a clipped, casual cruelty. Soon emboldened by the opportunistic soldiers who attach themselves to him, Willi embarks on a precarious game of brinksmanship, brutally raising the stakes and throwing his newfound weight around in the most awful ways possible every time it looks like he might be discovered. At the end of it all, he comes upon a prison camp where he orders the execution of an estimated 170 of his countrymen. Schwentke tells a parable of how even the smallest person can rise to the occasion when suddenly given authoritarian power to wield. 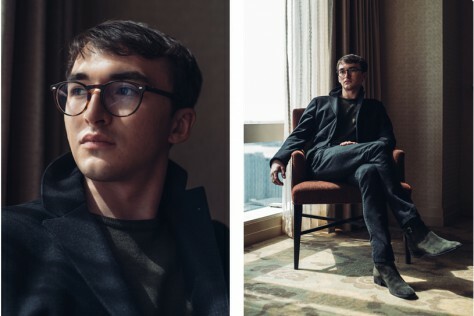 We can’t wait to see what his next film will be. The Captain marks Schwentke’s first German-language feature made in his native homeland since he began his career there in 2002 with Tattoo, a grisly serial-killer thriller, and the following year, The Family Jewels, a semi-autobiographical black comedy concerning testicular cancer. The Captain is now playing in New York City and opens in Los Angeles on August 10.